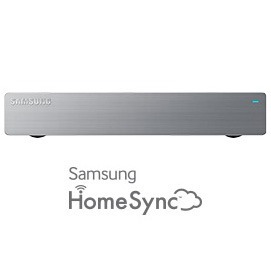 Of course that rather assumes that you have a Samsung HomeSync, which appears to be impossible at the moment. Though Samsung claimed that they'd launch the Jelly Bean-powered device in "select markets" in April, there's no listing for the device in any online store that we can find. Samsung released an official HomeSync app late last month, which doesn't help much if you're hoping to get your hands on the actual hardware. Samsung has been releasing phones and tablets left and right, but their branded, Android-powered media server is now four months overdue. So what happened? The latest official information seems to have come to CNET Asia's Crave blog, which got a response from Samsung back in June saying the device would be available to Asian markets that month for $310 USD. But we still can't find any evidence that it has actually launched. 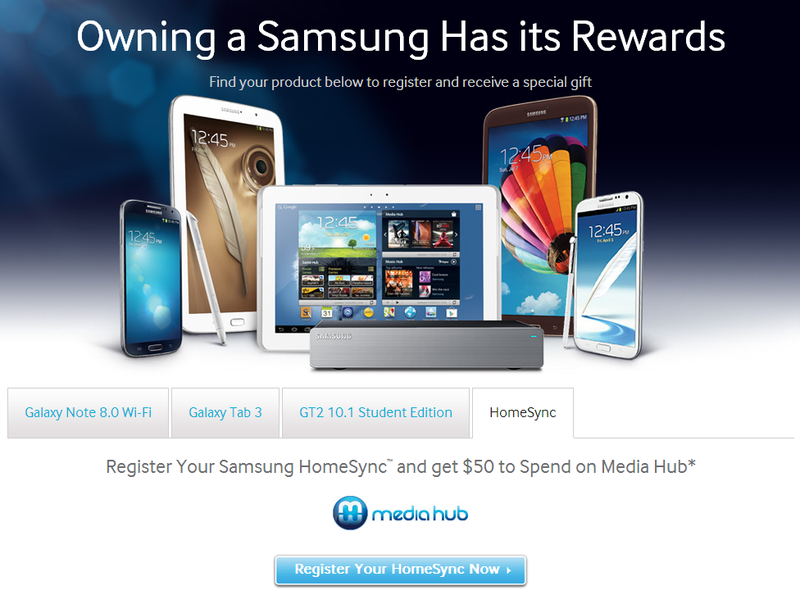 This particular promotional page has been restricted to US devices so far. Perhaps the release of the HomeSync companion app and this promotion means that we'll finally see this gadget on store shelves soon. If nowhere else, we should get another look at HomeSync at IFA in Berlin next month.